Te Rangawairua o Paratene Ngata Research Centre was officially launched at Te Whare Hauora o Ngati Porou in Te Puia Springs. The name of the research centre was gifted to Ngati Porou Hauora by the whanau of the late Dr Paratene Ngata. The name honours his vison for Ngati Porou to become a “Tikanga and research based centre of excellence for Hauora Maori” The centre will provide a basis for building on the research initiatives and relationships which Dr Paratene inspired Ngāti Porou Hauora, our communities and a wide range of university researchers to become involved in over the last 15 years or so. Most recently this includes working with the Maurice Wilkins Centre for Molecular Bio-discovery, an expanded collaborative network of scientists, health researchers and providers. 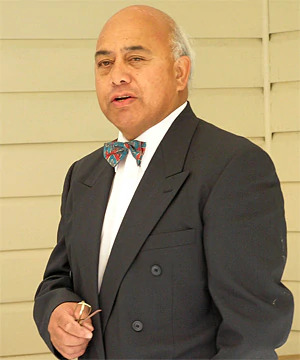 ‘Dr Pat’ as he was affectionately known on the East Coast, was famous for his uncompromising belief that Māori should determine our own solutions, especially in relation to health. From the day he graduated, he was at the forefront of public health and Māori health advocacy, and as his career progressed so did his incredible leadership. His inspiration lives on through the many teams he inspired to “keep up the good mahi”, including through “contributions to the kaupapa and research developments within and outside NPH”.